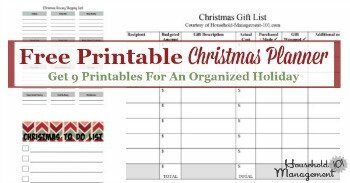 Use this printable Christmas card list to plan who you will send cards to this year, and make sure you have all the addresses. Sending Christmas cards can be quite a process, from ordering the cards, addressing and stamping them, and writing little notes for each one. However, the first step in this whole process is to figure out who you want to send cards to, and making sure you have accurate addresses. 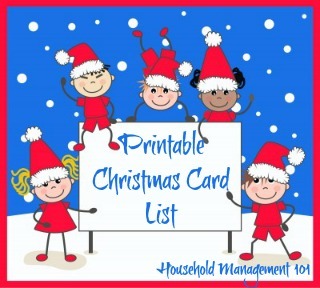 The first year you create a Christmas card list is the hardest one, because you have to think about who to send cards to and hunt for addresses. 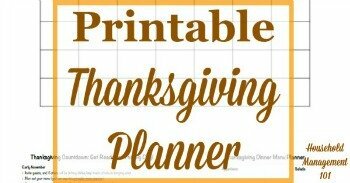 Future years are easier if you save your list in your household notebook or holiday planner, because then all you have to do is add or subtract names and correct any changed addresses. 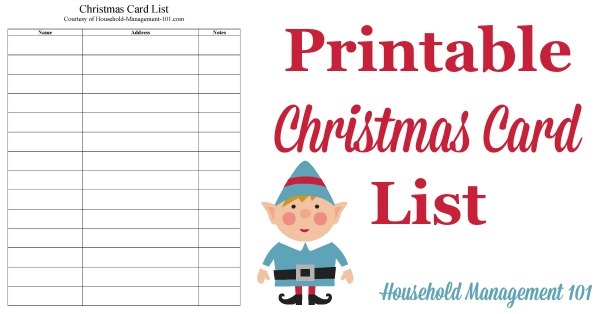 Here's a helpful hint: Keep track of who sends you Christmas cards this year, and make sure all those names are on your list, at least for next year. At the same time, quickly check the return address on the cards you receive to make sure the address you have is accurate. 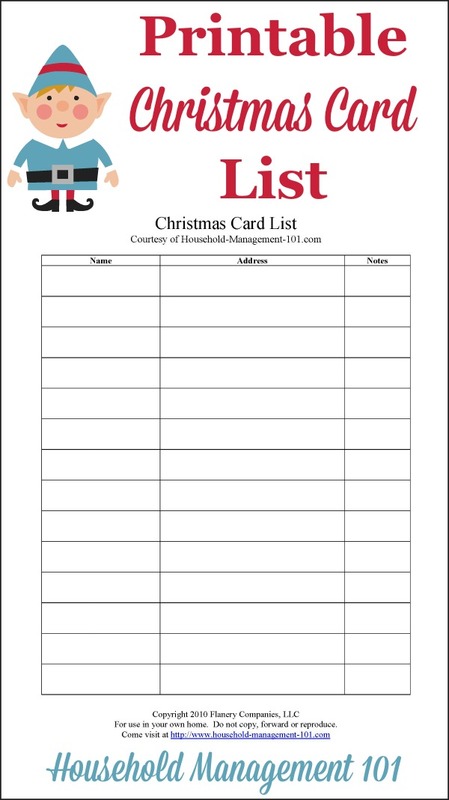 If you do this every year it will become really easy, after one or two years, to create a seasonal greeting card list, and know how many cards to buy and address.